Home / Client Authored / Winter Weather: We’re Open! Stay safe and warm in this big Bellevue snow! Meet Olaf, the latest (and hopefully temporary) member of the Cummins family! Dr. Bob Cummins is in the clinic today and tomorrow, February 6th & 7th and ready to help bring you to gold medal health. 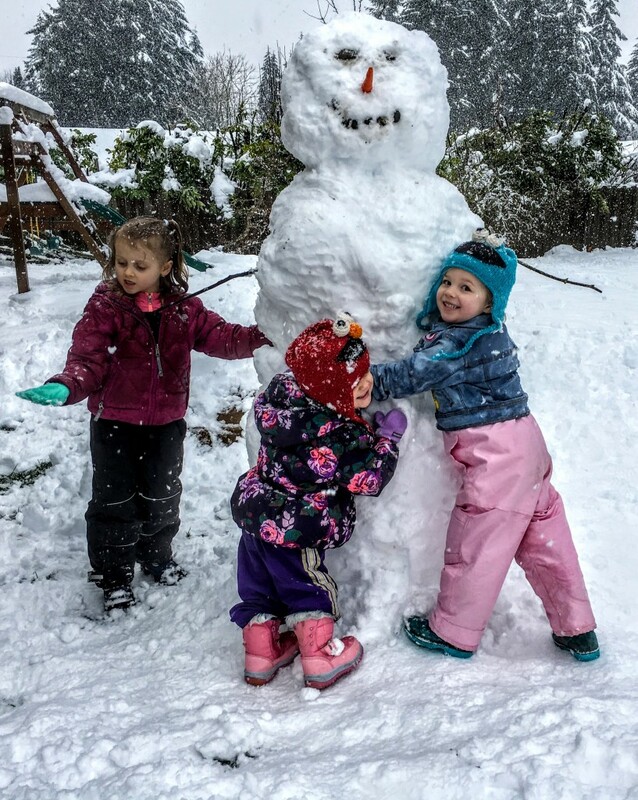 If you are unable to make your appointment due to the big snow storm here in Bellevue, the Eastside and Seattle, please phone 425-590-9158, email or respond to your text confirmation. You can also use our webpage contact us form and we receive that as an email. Be sure to leave a voicemail if we miss your call. As you know, it’s important to keep on your care plan to get the results that you are looking to achieve. We do have availability the rest of this week and are happy to find a time that works well for your schedule. We want you to be safe, stay healthy and have fun in this snow. -An auto accident on I-405, I-90, I-5. These big ones may be at higher speeds and definitely require a Chiropractic follow-up after your ER visit. Once the ER tells you you are gladly still alive, it’s very important to check on your spine and nervous system. -A car crash on a side road in our neighborhoods, Coal Creek Parkway, Somerset, Factoria/etc. (with another car or simply a tree, bush, or curb). Lower speed accidents also need a well spine check up. Your car may be fine, but your spine may not. Just like you open the egg carton when picking out eggs to be sure none are cracked, get your spine checked after any auto accident. -Sore after a long winter walk or an extended workout because you had all day! Jiota and Katheryn are awesome at massage and helping your sore muscles from a long winter walk. -Anything else that comes your way in our winter wonderland that is keeping you from optimal health…. have Dr. Cummins check it out.